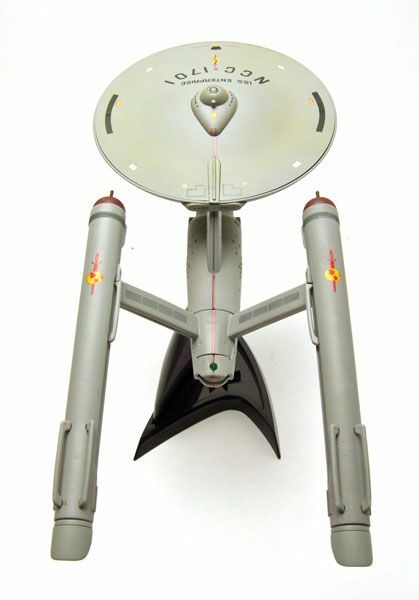 DST released this Mirror Universe Enterprise as part of it's Starship Legends line of ships. The Rundown: Oh man...I've been looking forward to this one! 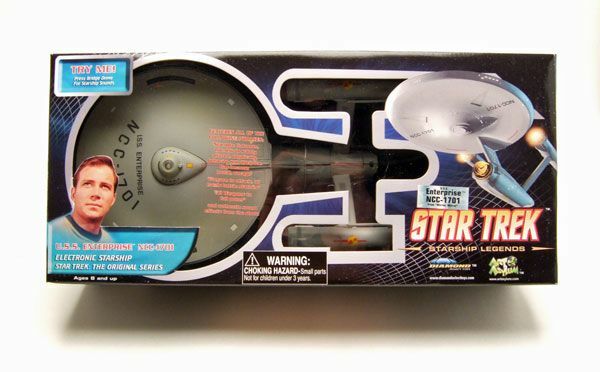 I'm a HUGE Mirror Universe fan, so getting this version of the ship is quite the treat. And DST did some excellent tweaking on this one, giving the ship a distinct look that actually improves on the screen model. 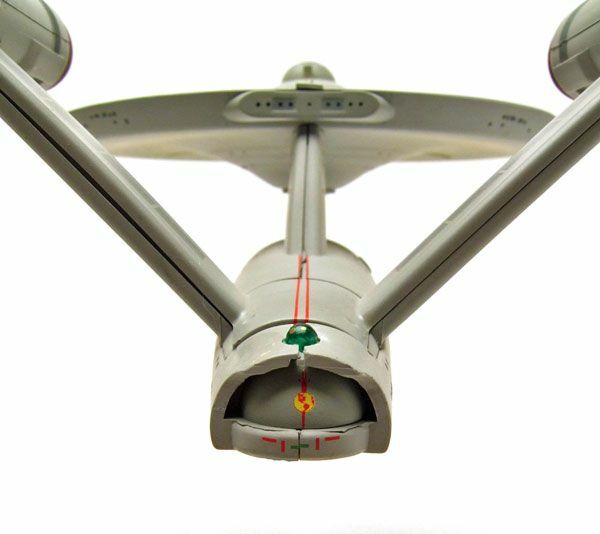 When "Mirror, Mirror" originally aired, the production team just used stock footage of the Enterprise from the pilot episodes for the ship (thus the red capped nacelles with prongs). 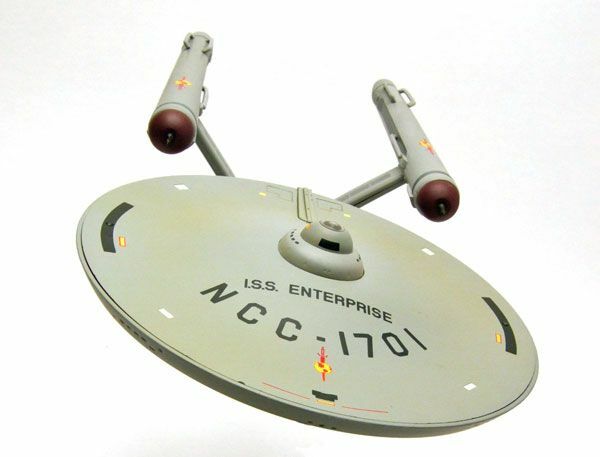 In the remastered version, the CGI model uses that same design as well, but changes the name of the ship on the saucer section to "I.S.S. 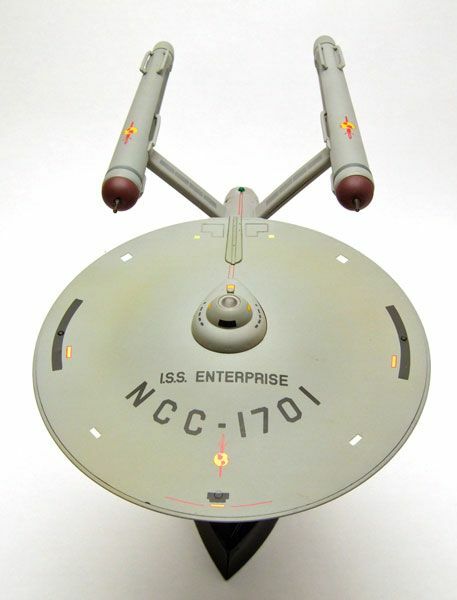 Enterprise". I would have felt slightly cheaped out had DST just done the same thing. Thankfully, they didn't! ...and even the little shuttle bay door has it! It's a small change, but one that makes a world of difference. I'm REALLY glad DST took the initiative and made some alterations to the ship. It moved this from being a simple, boring repaint of the "WNMHGB" version into one of my favorite ships from the line. Makes me wish the CGI version from the remastered version looked this nice. *As a side note, you'll notice the seams again aren't quite tight enough, just like the HD version. I also had a noticeable paint smudge near the shuttlebay area (which was on all 3 ships that my shop got in). It's not a huge deal, and is hardly noticeable on the shelf, but it may be something to watch out for. 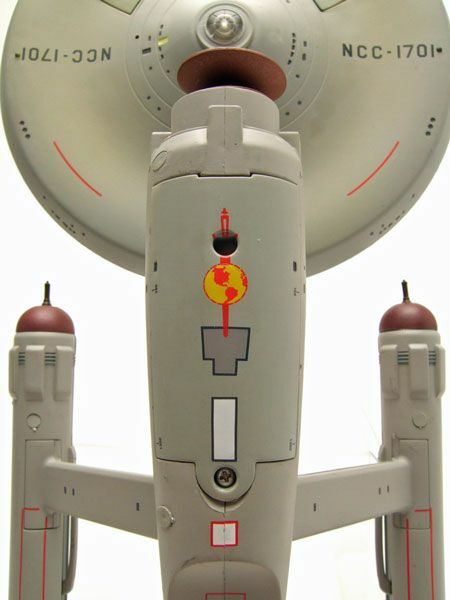 "Stardate: Unknown. The ship is subtly altered, physically... behavior and discipline have become brutal, savage." 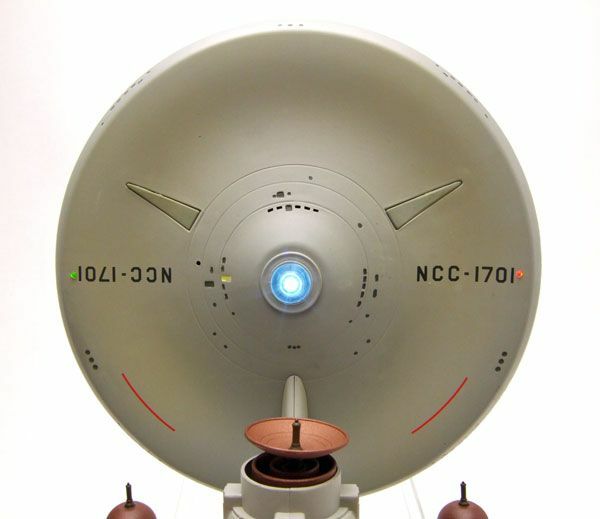 Oh, and since the shots of the Enterprise in the episode are based on the pilot versions of the ship, the nacelles do not have the lighting effect. Instead, they have solid red caps on the end. I miss the effect, since it's SO nice on DST's original and HD versions, but it is screen accurate so what can you do. I'm sure if DST had changed it to the lighted version, they'd have caught a ton of flack for it's inaccuracy. 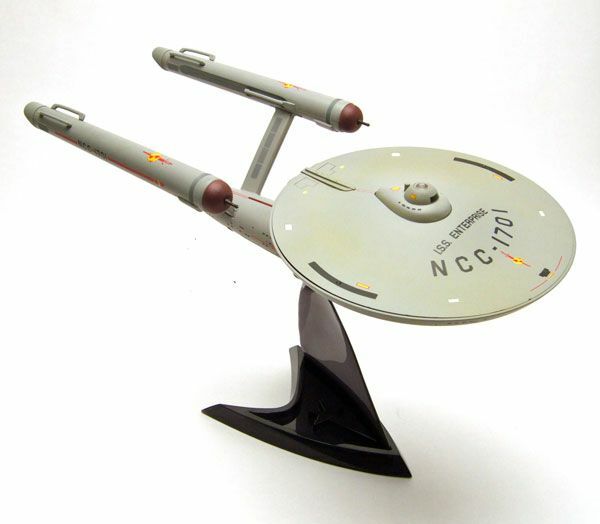 And just like all the original Enterprise releases, we get a stand and an interchangeable battery cover. The stand fits REALLY tight on mine, so take great care when using the stand! I LOVE this ship. A few simple paint changes really make this one stand out on the shelf. 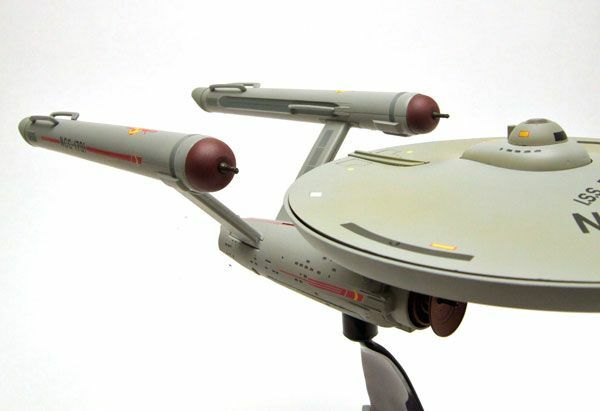 It looks great standing off against the regular Enterprise, or with your "Mirror, Mirror" figures (or Minimates!) standing around the base. Nice work DST! 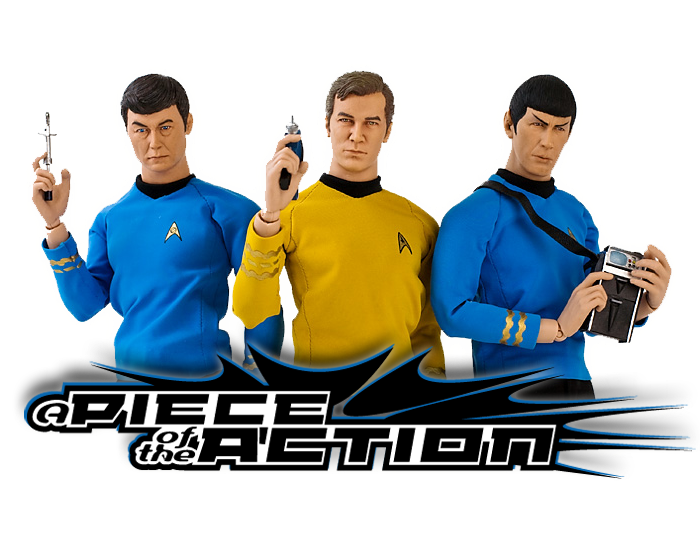 New Force Comics should have these in stock next week, so check back there to snag one of these! Or check with your local comic shop about ordering one through Previews catalog! 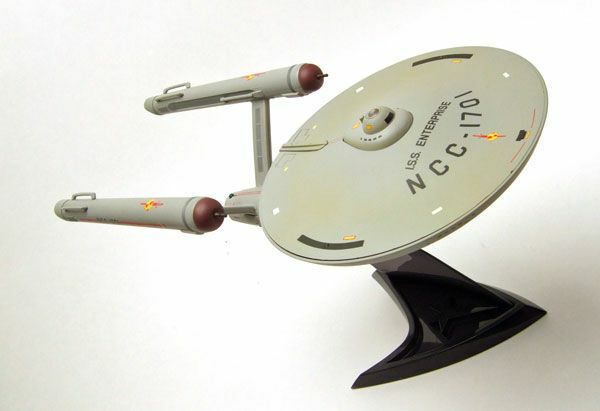 I recently picked up this item after i found out about the DST Legends line via the Enterprise D.
One thing about the Mirror, Mirror enterprise...is the brown haze around the bridge section how its supposed to be? I'm used to clean ships and my childhood memory is hazy itself on his detail. Glad i found this blog. Absolutely fabulous. Oh, and thanks for the compliment on the blog! I'm glad you found it! does this have a feature where you hold down the bridge for 5 seconds and the lights stay on as long as you want? I been looking for this for Years and i seem to miss the boat when it came out. 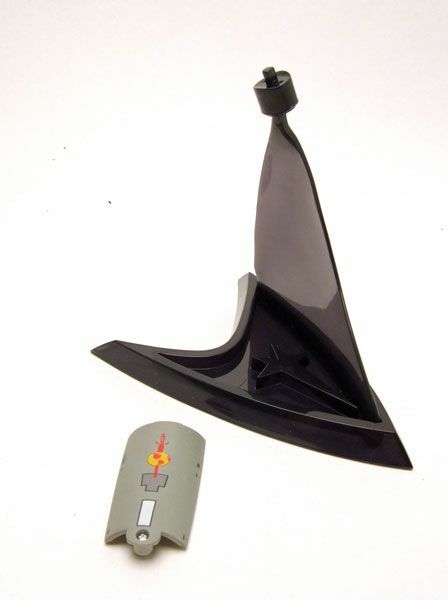 I cant find any on Ebay or Amazon.